Instrumentation: fl. ob. cl. bn. hn. Antonin Dvorak composed the quartet in F Major, op. 96 “The American” in the summer of 1893 during his summer vacation in Spillvale, Iowa. From 1892-1895, Dvorak served as director of the National Conservatory of Music in NYC. He had been interested in “American Music” and felt that Native American and Afro-American music could inspire an “American Music” distinct from European influences. He was inspired by (Henry Thacker) Harry Burleigh, his student in New York and one of the first Afro-American composers. 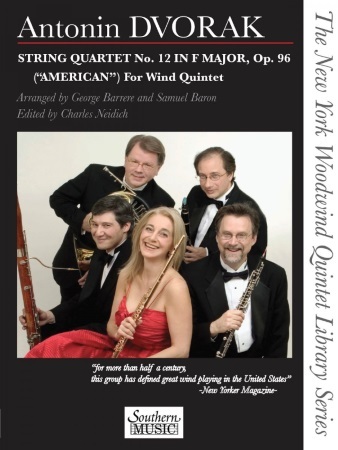 While it is impossible to know why Georges Barrere chose Dvorak's F Major Quartet to transcribe for Woodwind Quintet, we may easily hazard several guesses. 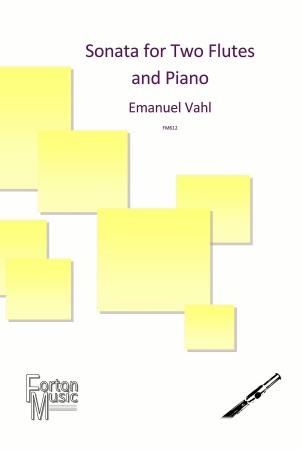 Firstly, it was a work much beloved by the public and very respected by professional musicians. As an immigrant himself, Barrere could easily sympathize with Dvorak's desire to create a distinctly American work. A work in the key of F Major, it lent itself easily to wind transcription. 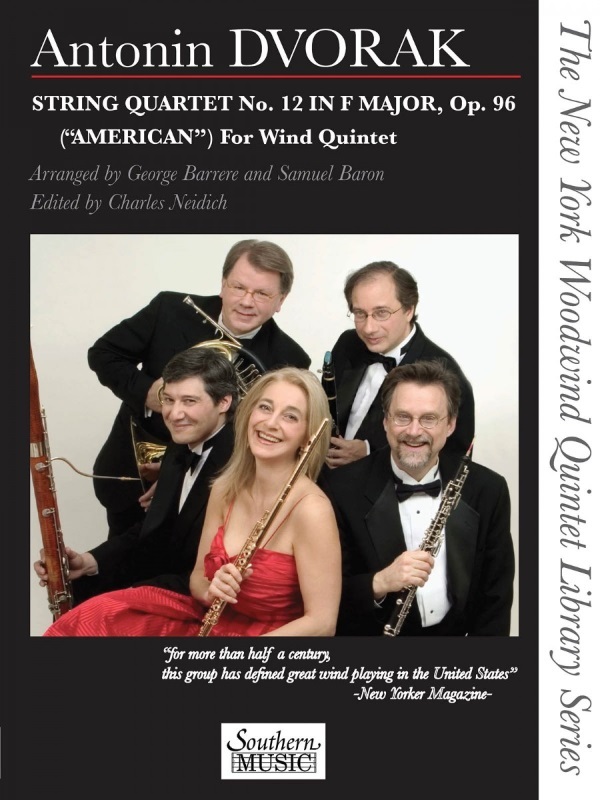 While known as the Barrere transcription, it turns out that Samuel Baron, one of Barrere's most famous students and a long time member of the New York Woodwind Quintet, who has to his credit a long list of wonderful transcriptions for woodwind quintet, played a significant role in the transcription.